RESOURCES — MassTex Imaging, LLC. We strongly believe in the comprehensive dysphagia consultation we provide. In the last two year we looked at the data from our EHR and for over 10,000 studies we provided for adults over 60 years old and we found a 47% incidence of esophageal dysphagia in this patient population. Thus, reinforcing the importance of looking at the esophagus in conjunction with the MBSS. MTI presented this research at the Research Dysphagia Society in 2016. Q: What is a Dysphagia Consultation with MassTex Imaging? A: A Dysphagia Consultation with MassTex Imaging includes a Modified Barium Swallow Study, Physician Consultation and Esophageal Assessment to the Stomach. Q: What makes an MBSS with MassTex Imaging different from a hospital visit? A: MassTex Imaging provides you with a complete dysphagia consultation. We not only perform the Gold Standard Modified Barium Swallow Study (MBSS), but we also provide your patient with an esophageal assessment to the stomach and a physician consultation. MassTex Imaging comes to you! With MassTex Imaging, you can relieve your patients of the stress and anxiety a hospital visit can induce. Being a Mobile Medical Practice, we take away the hassle and cost of transportation. 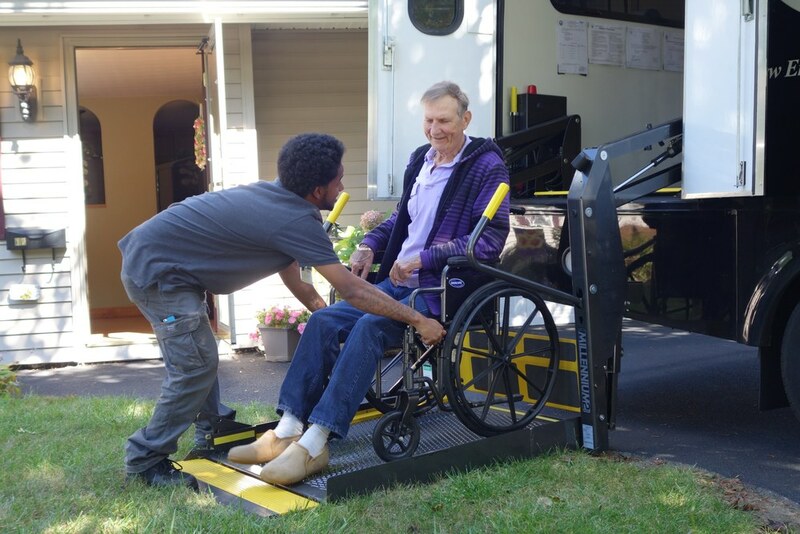 We serve patients wherever they are; at their home, in a skilled nursing facility, at a rehabilitation hospital, an assisted living, a dayhab center or a group home, etc. At your door step, our experienced Physicians, perform a comprehensive dysphagia consultation, along with our highly skilled speech pathologists assessing your patient’s, Medical History, Aspiration Risk, Pneumonia Risk, Effects of Current Medications on Swallowing, Diet Recommendations and Patient/Family Quality of Life Wishes. Results are available on the spot, giving you the information you need to provide the best possible care for your patients with a myriad of swallowing disorders as well to help reduce re-hospitalization for pneumonia, aspiration and/ or GI issues. Q: Is this consultation covered by insurance? We accept Medicare, Medicaid and most major insurance plans. We are happy to help obtain authorization for managed care patients. Please contact our office with any questions. Q: Can the treating clinician and/or family member(s) observe the consultation? Family, loved ones and the patient’s health care providers are welcome to accompany the patient on the Mobile Medical Clinic in order to observe the consultation. This is a great opportunity to speak directly with the Physician and the Speech Pathologist. Our expert medical team is dedicated to treating each and every patient with dignity, compassion, and respect while performing a high quality service. Patients and Treating Clinicians have online access to the dysphagia consultation reports on the MTI Online Patient Portal. Instructions are listed on the bottom on the printed MD and SLP reports.